Home / Women in Focus / Personal Life / Are The Female Emojis Sexist? While carefully choosing which emoji best expresses your feelings at that exact moment, have you ever stopped to consider (before selecting the sassy hand girl of course), how limited the emojis are in representing women? Although it seems a little silly to be calling out something as trivial as emojis on their lack of representation, the emoji has become ingrained in our culture (with one even winning Oxford's Word of the Year 2015) and so it's lack of diversity should not be underestimated. Another 60 per cent felt that the emojis implied that girls are more limited to what they can do in comparison to boys. Film maker Lucy Walker made a mini-documentary for the survey results, and said: “Society has a tendency to send subtle messages that can limit girls to stereotypes. As someone who has studied sociolinguistics, I know the kind of impact even seemingly innocuous language choices can have on girls. One participant said: "They're all mainly pink", while another said: "There's no girls in the profession emoji, unless you count being a bride as a profession." So what does the campaign want? 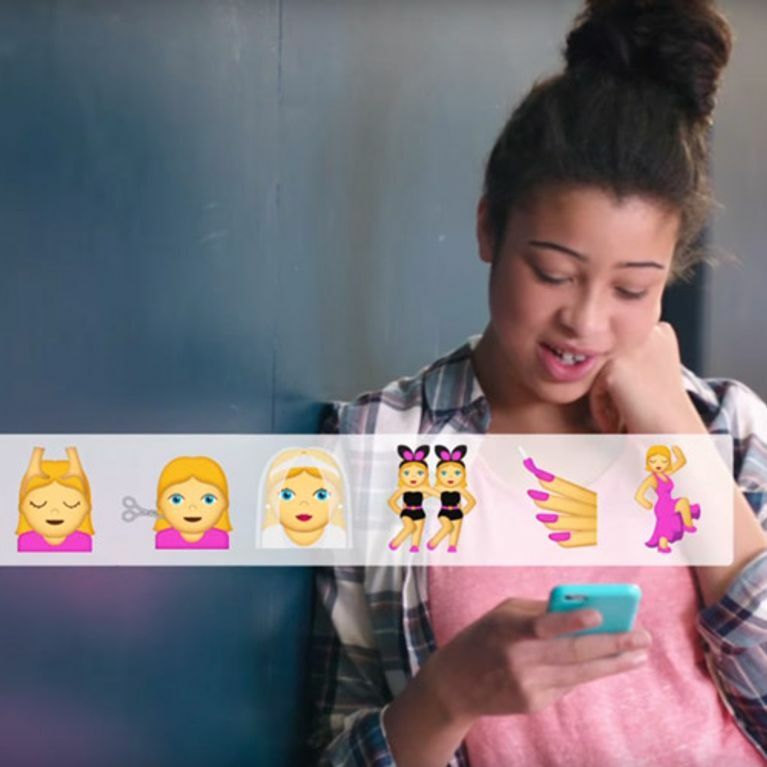 The chance to make emojis "as unstoppable as the girls they represent." The girls in the video described what they wanted to see, ranging from female wrestlers to "a girl playing the drums." What would you want? Tweet your idea with the hashtag #LikeAGirl and let us know what you think of the campaign @sofeminineUK!